National HIV Testing Day is June, 27th. We decided to interview Dr. Kimberly Parker about HIV/AIDS to educate you. Dr. Parker is one of our assistant professors in the Health Studies department. Her main topic of research is HIV/AIDS prevention, promotion and advocacy. How long have you worked with health promotion and advocacy with HIV/AIDS as your target population? I have worked in the field of HIV and HIV prevention almost 10 years and HIV advocacy work for two years. Although my experience with prevention is more extensive than my advocacy experience, I do believe both are needed to prevent the spread of HIV and to improve the lives of people living with HIV/AIDS (PLWHA). From your research experience, what are the main barriers that prevent individuals from getting HIV testing? One of the main barriers is fear of knowing one’s status. Another barrier is stigma. 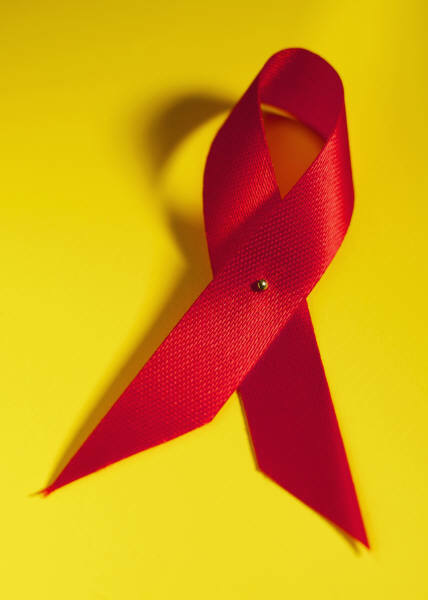 Unfortunately, HIV/AIDS is still bears the scars of being a socially stigmatized disease and many are often fearful of knowing their status or having to reveal their status to others. Another barrier to testing is lack of known or perceived risk. Some still see HIV/AIDS as a gay disease or those who are in a serious committed relationship may not see themselves at risk. Therefore, there a subpopulations that might not get tested based on their lack of perceived risk. If you could communicate to our audience the importance of getting tested on National HIV Testing Day, what would you say? Of those living with HIV, approximately 18% are unaware of his or her status. HIV testing is very important because the sooner a person is aware of his or her positive status, the sooner a person can start a recommended regime to preserve his or her quality of life by lowering one’s HIV viral load (the amount of the virus in a measureable amount of blood). Also, research has shown that knowing one’s status can lead to a decrease in behaviors that may put on at risk for contracting HIV. Are there any local resources that you would recommend to our audience to get HIV tested? The Centers for Disease Control and Prevention (CDC) sponsors a website that allows a person to search for a STD and HIV testing resource center by zip code. The website is http://hivtest.cdc.gov/Results.aspx and can provide testing sites within a 10 to 35 mile radius. One can also find information about HIV testing at their local health department and on the CDC’s main website. What do you see on the horizon for HIV/AIDS? Research is currently being conducted on the use of biomedical prevention methods to prevent the spread of HIV. One method is PrEP or the use of an HIV drugs such as Truvada, taken prior to possible exposure to prevent the spread of HIV. With PrEP, an HIV negative person that may be at an increased risk for contracting HIV would take the medication prior to any possible exposure to reduce his or her risk of contracting the disease. Also, more studies are being done on HIV/AIDS in older adults because people with HIV are living longer and healthier lives and, there seems to be an increase in the number of those how contract the virus at later stages in life. We want to thank Dr. Parker for her time and the valuable information that she has provided to us about HIV/AIDS testing. If you want more information on local events for National HIV Test Day visit http://hivtest.cdc.gov/press_files/default.aspx for details.